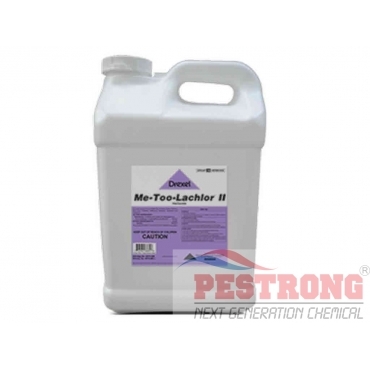 Where to Buy Drexel Me-Too-Lachlor II, Me-Too-Lachlor II Herbicide - 2.5 Gallon - $129.95 for Sale with Fast Free Shipping! Me-Too-Lachlor II Herbicide - 2.5 Gallon is a selective herbicide for residual control of most annual grasses and certain broadleaf weeds in Field corn, Popcorn and Sweet corn. PT Ultracide Pressurized Flea Insecticide -..
Mojave 70 EG Herbicide Generic Sahara DG -.. It can be used for weed control in Corn (Field, Pop, Sweet), Cotton, Peanuts, Pod crops, Potatoes, Safflowers, Sorghum, Soybeans and Tomatoes. How important is rainfall to the effectiveness of Me-Too-Lachlor II? Irrigation or rainfall should occur within 2 days of application, assuring adequate moisture for activation. If this does not occur weed control may be decreased. Does Me-Too-Lachlor II contain a safener? Yes, Me-Too-Lachlor II has a safener while Me-Too-Lachlor does not.